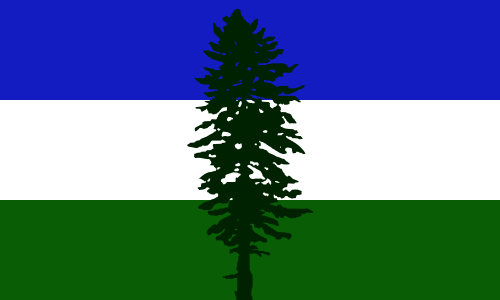 This is the Cascadian flag. So much is engrained within this one piece of fabric. An understanding that arbitrarily drawn borders DO NOT define us as a people and culture. A belief that we CAN and WILL do better as a community and bioregion, by envisioning and enacting change at the local level, and facilitating growing interdependence that better represents and sustains the social, cultural and political boundaries that define our region. A movement that is setting up a new framework for localized, bioregional thinking that strays from current systems of power and oppression- that can and will provide an alternative pathway to addressing systemic injustice of which we all live in and are a part of. This includes continuing to work closely with local native tribes in our efforts, by following their lead, to make sure that Cascadia as a movement does not repeat the same colonial patterns of the past and present. Most of all, this flag stands for inclusivity and an unstoppable, intensely passionate drive to keep learning from each other, to keep progressing forward, and to continue standing in solidarity with those who have been marginalized and oppressed within our current institutions and system. This flag’s creator, Alexandre Baretich, declared that this flag shall NOT be used for hate, exploitation, or against the values or principles of bioregionalism. CascadiaNow! was horrified by the acts of hate that took place in Charlottesville this past weekend. Though they took place outside of our bioregion, this hate-filled rhetoric can be heard across the country, including here in the PNW. We will not be intimidated and draw courage from not only those Virginians marching against racism and hate, but also from our fellow Cascadians that mobilized in Seattle to defend against the threats to our most vulnerable and marginalized communities. CascadiaNow! pledges to keep up this momentum by showing up, offering our resources to those who need them, and continuing to provide an open platform and eager willingness to start and continue hard conversations around systemic oppression, hate, nationalism, and intolerance. We don this flag as a symbol and a commitment- a commitment that we Cascadians will organize, mobilize, ally and continue to show up and stand in solidarity with not only our fellow Cascadians, but with those across the country, in the face of racism, xenophobia, and white supremacy. We will continue to reject hate, white nationalism, and bigotry. We will continue to hold this flag high, and will stand with and in supporting roles of those whom, for far too long, have been threatened by hateful, othering rhetoric. Just as the flag’s enduring Doug Fir that stands strong and true, we will face hate head on with endurance, defiance, and resilience. Previous ArticleRecent Events Recap and Pictures!